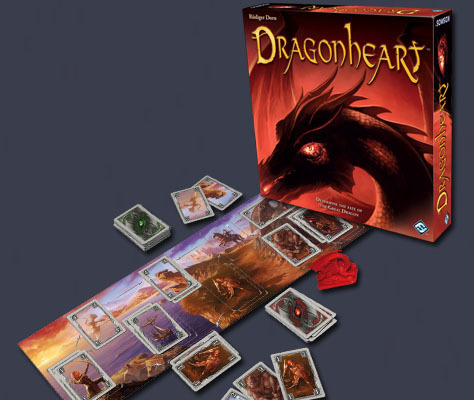 FantasyFlight Games has released 2-player game Dragonheart. This is an English version of Drachenherz which I’ve already reviewed on this blog. So, anyone looking for a review of Dragonheart should click here to read the review.